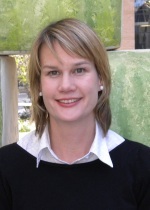 Dr Alison Barnes joined the Department of Marketing and Management at Macquarie in 2010. She has conducted research into the service industry and trade unions, employee behaviour and skill recognition, and the gender pay gap. Alison was awarded a PhD from the University of NSW. Her thesis investigated the impact of working conditions (shift work, casual employment and regional considerations) on call centre employment. Alison is particularly interested in employee resistance and trade union strategy. 2013, 'Union Campaigning in a Changing Environment', Faculty of Business and Economics, $5000 Research Starter Grant (with Dr Nikki Balnave). 2013, 'Member-based organisations and social media technologies ' Macquarie University Development Grant, $35,104.00 (with Dr Nikki Balnave and Dr Louise Thornthwaite ). 2010-13, 'Investigating the impact of precarious employment and contracting chains on aviation safety, security and occupational health and safety' , Transport Workers Union of Australia Grant ($15,000) and Macquarie University Enterprise Partnerships Scheme Pilot Research Grant ($15,000). Project Team: Professor Lucy Taksa (Lead CI), Dr Alison Barnes (CI), Dr Chris Baumann (CI), Professor Peter Anderson (PI), Julie Zetler, (PI). 'Pay and Employment Equity: Development of a methodology for better recognition of the skills in service work', Pay and Employment Equity Unit, Department of Labour, Wellington, New Zealand ($143,000 AUD). 2007, 'Trade union Strategy and the use of the Media in the Work Choices Era', University of Western Sydney Seed Grant ($5,918 AUD). Barnes, A. and Balnave, N. (2015), 'Back to grass roots: Peak union councils and community campaigning', Economic and Labour Relations Review, 26 (4): 577-595. Barnes, A., MacMillian, C. and Markey, R. (2013), 'Maintaining Union Voice in the Australian University Sector: Union Strategy and Non-Union Forms of Employee Participation', Journal of Industrial Relations, 55 (4): 565-582. Baldry, C. and Barnes, A. (2012), 'The Open Plan Academy', Work, Employment and Society, 26 (2): 228-245. Barnes, A. and Lafferty, G. (2010), 'The Fair Work Act: As Good as it Gets? ', Economic and Labour Review, 21 (1): 1-12. Hampson, I., Junor, A. and Barnes, A. (2009), 'Articulation Work Skills and the Recognition of Call Centre Competencies in Australia', Journal of Industrial Relations, 51 (1): 45-58. Junor, A., Hampson, I. and Barnes, A. (2008), 'Beyond Emotion: Interactive Service Work and the Skills of Women', International Journal of Work, Organisation and Emotion, 2 (4): 358-373.
van den Broek, D., Barnes, A. and Townsend, K. (2008), 'Teaming Up: Teams and Resistance in Call Centres', Journal of Industrial Relations, 50 (2): 257-269. Barnes, A. (2007), 'The Construction of Control: The Impact of the Physical Environment on the Development of Resistance and Accommodation Within Call Centres', New Technology Work & Employment, 22 (3): 246-259. Barnes, A. (2007), 'Australian Unions in 2006', Journal of Industrial Relations, 49 (3): 380-393. Barnes, A. (2007), 'Australian Union Strategies in an Era of Radical Conservatism', Perspectives on Work, Labour and Employment Relations Association, Summer, 42-48. Barnes, A. (2006), 'Trade Unionism in 2005', Journal of Industrial Relations, 48 (3): 369-383. Barnes, A. (2004), 'Diaries, Dunnies and Discipline: Resistance and Accommodation to Monitoring in Call Centres', Labour and Industry, 14 (3): 127-138. Barnes, A. and Fieldes, D. (2000), "Monday I've got Friday On My Mind" - Working Time in the Hospitality Industry', Journal of Industrial Relations, 42 (2): 535-550. Barnes, A. and Taksa, L. (ed) (2012), Rethinking Misbehaviour and Resistance in Organizations, Advances in Industrial and Labor Relations, Vol. 19, Emerald, UK. (2009), Review of Bramble, T. (2008), Trade Unionism in Australia: A History from Flood to Ebb Tide, Cambridge University Press, Port Melbourne, for Economic and Labour Relations Review, (forthcoming). (2006), Review of Peetz, D. (2006), Brave New Workplace: How Individual Contracts are Changing Our Jobs, Allen and Unwin, Crows Nest, for International Journal of Employment Studies, 14 (2): 103-105. (2002), Review of Van Gyes, G., De Witte, H. and Pasture, P. (eds) (2001), Can Class Still Unite? The Differentiated Work Force, Class Solidarity and Trade Unions, Aldershot, Ashgate, for Journal of Industrial Relations, 44 (4): 601-603. Barnes, A. and MacMillan, C.I. (2015), 'The Difficult challenge faced by hybrid employee voice in the Australian university sector ', in Gollan, P., Kaufman, B., Taras, D. and Wilkinson, A. (eds), Voice and Involvement at Work: Experience with Non-Union Representation, Routledge: New York. Balnave, N., Barnes, A., MacMillan, C. and Thornthwaite, L. (2014), 'E-Voice? How Network and Media Technologies are Shaping Employee Voice', in Wilkinson, A., Donaghy, J., Dundon, T. and Freeman, R. (eds), Handbook of Research on Employee Voice, Edward Elgar, Cheltenham, 439-454. Barnes, A. (2012) 'Customer Service work and the Aesthetics of Resistance ', in Barnes, A. and Taksa, L. (eds), Rethinking Misbehavior and Resistance, Advances in Industrial and Labor Relations, Vol. 19, Emerald, UK, 181-208. Barnes, A. and Taksa, L. (2012), 'Introduction  Misbehavior in the Air', in Barnes, A. and Taksa, L. (eds), Rethinking Misbehavior and Resistance, Advances in Industrial and Labor Relations book series, Vol. 19, Emerald, UK, ix-xxiii. Barnes, A. (2006), 'Trade Unionism in 2005' in Hall. R, (ed), Industrial Relations: A Current Review, Sage London; 74-88. Junor, A., Hampson, I., Barnes, A., Smith, M,. Ewer, P., Piercy, G. and Ogle, K.R. (2008), Spotlight: A Skills Recognition Tool. Research Report. New Zealand Department of Labour Pay and Employment Equity Unit, Wellington (110 pp.). Folder 5. Spotlight Resources: Toolkit Items. Balnave, N., Barnes, A. and Thorthwaite, L. (2016), 'Trade Union Renewal: Preliminary Findings of a Survey on Trade Unions and Social Media Use', 30th AIRAANZ Conference, Sydney, Australia- NSW. Barnes, A. (2016). 'Labour Transnationalism: Old strategy, new tricks? ', 30th AIRAANZ Conference, Sydney, Australia- NSW. Balnave, N. and Barnes, A. (2015), 'Back to Grass Roots: Peak Councils and Community Campaigning', Fighting against war: Peace activism in the twentieth century, 14th Biennial National Labour History Conference, Queen's College, University of Melbourne, 11-13 February. Barnes, A. and Balnave, N. (2015), 'From the Webbs to the web: social media and the struggle for union renewal', Social Media Workshop, Macquarie University, 8 March. Barnes, A., Holley, S. and Taksa, L. (2014), 'Permanent insecurity: The relationship between labour hire workers and permanent employees in the aviation industry', 28th AIRAANZ Conference, Melbourne, February. Thornthwaite, L., Barnes, A. and Balnave, N. (2014), 'The implications of social media for work and employment relations', 28th AIRAANZ Conference, Melbourne, February. Balnave, N. and Barnes, A. (2014), 'Campaigning in a changing environment', 28th AIRAANZ Conference, Melbourne, February. Barnes, A., Thornthwaite, L. and Balnave, N., (2013), 'Using social media: the experiences of trade unions and employer groups', Work, Employment and Society Conference, Warwick University (UK), September. Barnes, A. and Macmillan, C. (2012), 'Maintaining Union Voice in the Australian University Sector: Union Strategy and the Development of Hybrid Forms of Voice', Symposium on Employee Involvement and Participation, Griffith University, August. Thornthwaite, L. and Barnes, A. (2012), 'Social Media at Work', 26th AIRAANZ Conference, Gold Coast, February. Barnes, A. and Ingersoll, L. (2009), 'A Spotlight on IR: Media and Union Strategy in Australia', 15th International Industrial Relations Association (IIRA) World Congress, Sydney, August. Baldry, C. and Barnes, A. (2009), 'The Open Plan Academy', 27th International Labour Process Conference, Edinburgh, April. Barnes, A. (2008), 'Implications and potential of union media campaigns', Panel on Industrial Relations: Gaps and Opportunities in the' Rudd Era. 7th Australian Society of Heterodox Economists Conference, Sydney, December. Hall, R. and Barnes, A. (2008), 'Getting from 'Fun' to 'Function': the Functions of, and Attitudes Towards, Managed Fun at Australian Workplaces', 26th International Labour Process Conference, Amsterdam, March. Barnes, A., Junor, A. and Hampson, I. (2007) Beyond emotion: Interactive service work and the skills of women, Paper written for the 5th International Interdisciplinary Conference, Gender, Work and Organisation, Keele University 27-29th June. Ellis, V. and Barnes A. (2007), '(Not) Working Nine to Five: what a way to make a living', 25th International Labour Process Conference, Amsterdam, April. Barnes, A. (2006), 'Resistance and Accommodation in Call Centres: Towards Collective Awareness' in G. Treuren (ed), Emerging Issues in Employment Relations: Proceedings of the 6th Annual Conference of the Pacific Employment Relations Association, Adelaide, November. van den Broek, D., Barnes, A. and Townsend, K. (2006), 'Teaming Up: Teams and Resistance In Call Centres', Australian Centre for Research in Employment and Work (ACREW) Conference, 1-19, Prato, Italy, July. Barnes, A. (2005), 'Smooth Operators', in D. Mortimer and G. Stewart (eds), Teaching, Learning and Research in Institutions and Regions - Proceedings of the 5th Annual Conference of the Pacific Employment Relations Association, Yeppoon, Queensland, November. Hampson, I., Junor, A. and Barnes, A. (2005), 'And Now We Still Don't Have It': Job Evaluation, Poorly Specified Skills and Pay Equity' in D. Mortimer and G. Stewart (eds), Teaching, Learning and Research in Institutions and Regions - Proceedings of the 5th Annual Conference of the Pacific Employment Relations Association, Yeppoon, Queensland, November. Lyons, M. and Barnes A. (2005), 'The Taming of the Screw? The Employment Relations of Correctional Officers' in D. Mortimer and G. Stewart (eds), Teaching, Learning and Research in Institutions and Regions - Proceedings of the 5th Annual Conference of the Pacific Employment Relations Association, Yeppoon, Queensland, November. Barnes, A. (2004), 'The Impact of the Built Environment on Resistance and Accommodation in Call Centres', 2nd National Call Centre Research Conference, Institute For Regional Studies, Monash University, August. Barnes, A. (2004), 'The Construction of Control: The Impact of the Physical Environment on the Development of Resistance and Accommodation Within Call Centres', 22nd International Labour Process Conference, Amsterdam, April. Barnes, A. (2004), 'The Organisation of Exhaustion', in M. Barry, and P. Brosnan (eds), New Economies: New Industrial Relations - Proceedings of the 18th AIRAANZ Conference, Volume 2  Refereed Papers, Noosa, 3-6 February, Association of Industrial Relations Academics of Australia and New Zealand. Barnes, A. (2003), 'Statistics and Self: Technology, Resistance and Accommodation in Call Centres', Call Centre Research Conference Proceedings, Newcastle, 7 November, Employment Studies Centre, University of Newcastle. Barnes, A. and Fieldes, A. (2000), "Monday I've Got Friday On My Mind" - Working Time in the Hospitality Industry', in J. Burgess and G. Strachan, Research on Work, Employment and Industrial Relations 2000  Proceedings of the 14th AIRAANZ Conference, Volume 1  Refereed Papers, Noosa, February 2000, Association of Industrial Relations Academics of Australia and New Zealand. 'Union campaigning in a changing environment', Employment Relations symposium, University of Western Sydney, 28 November 2013 (with Nikki Balnave). "All that's solid melts into air": impact of labour hire on permanent work in aviation', Flying high, flying low? Exploring research opportunities in the aviation sector, Inaugural Aviation Symposium: 29 November 2013 (with Sasha Holley and Lucy Taksa). 'The Plight of Hybrid Employee Voice in the Australian University Sector', : Contemporary Trends, New Critical Perspectives, Centre for Agency, Values and Ethics, Symposium on Working in Australia, Macquarie University, 19-20 February, 2013 (with Craig McMillan). Paper: 'Unions and Employer Associations', in panel 'Unions and Employers: New Roles and Relations? ', 31March  1 April, Academy of the Social Sciences in Australia and University of Sydney Business School, Work and Employment Relations in Australia: An Era of Change, A symposium in honour of Professor Russell Lansbury, 2011. 'The WorkChoices Battle: is the Union Campaign succeeding? Three Views from the University and the Labour Movement', with Sally McManus, Secretary, Australian Services Union NSW and Alison Peters, Deputy Assistant Secretary, Unions NSW. Presentation to UWS Alumni: 'Negotiating Australian Workplace Agreements in Your Early Career'. 'WorkChoices and the tertiary education sector' with John Robertson, Secretary, Unions NSW. Executive committee member of the Association of Industrial Relations Academics in Australia and New Zealand (AIRAANZ, elected 2014). Alison serves on various committees at Macquarie University such as the Department of Marketing and Management Research Committee. She has recently been elected to the Macquarie University Consultative Committee. Guest co-editor (with Prof Raymond Markey), (2015) Economic and Labour Relations Review, 26 (4), special edition arising from 20th anniversary of Organising works symposium (Organised in conjunction with Unions NSW and the Australian Council of Trade Unions Organising Centre) held at Unions New South Wales. Alison has taught human resource management, industrial relations, and management at both the undergraduate and postgraduate level. Lecturer and Course Coordinator, Workplace Management Dynamics (postgraduate course), Quarter 3, UWS. Lecturer and Course Coordinator, Dynamics of Workplace Management (postgraduate course), Session 1 & 2, UWS. Tutor, Managing People at Work (undergraduate course), Session 1, UWS. Tutor, Foundations of Management (undergraduate course), Session 1, University of Sydney. Guest co-editor (with Prof George Lafferty), Economic and Labour Relations Review, special edition arising from Fair Work Act Symposium held at UNSW, August 2009 (forthcoming). Guest co-editor (with Prof George Lafferty),International Journal of Employment Studies, special edition arising from AIRAANZ, February 2010 (forthcoming). Co-editor (with George Lafferty and Nicola Balnave) the proceedings from the 24th annual conference of the Association of Industrial Relations Academics of Australia and New Zealand (AIRAANZ). Last Updated: 2016-05-12 14:55:47 by Laura Billington.